San Antonio’s Mariachi Extravaganza winners will represent South Texas July 26-31 in Ashland, Oregon at the Oregon Shakespeare Festival GreenShow. Mariachi Cascabel from Rio Grande City High School in Rio Grande City and Karenn Lazo from Roma will represent the Extravaganza as first place winners of the largest and most competitive mariachi group and vocal competitions in the U.S. Mariachi Cascabel won first place in the mariachi group competition high school category last December. 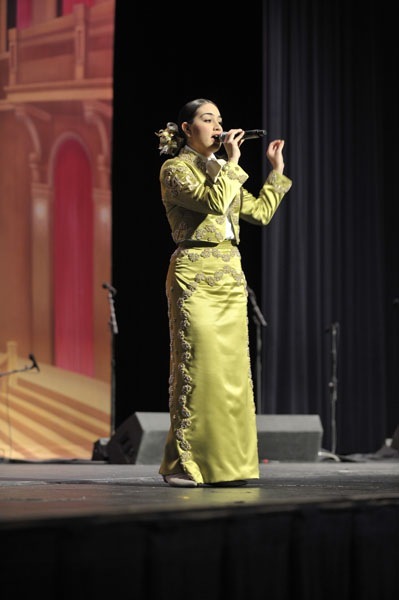 Karenn Lazo won “Best Mariachi Vocalist in the U.S.” The young artists were selected by members of the internationally acclaimed and Mexico City based Mariachi Vargas de Tecalitlán as the best in their respective categories. The 14 members of Mariachi Cascabel and Karenn Lazo will perform 4 thirty-five minute shows July 26-31 under the direction of Alex Rodriguez. Festival is one of the most prestigious events of its kind in the U.S. and has been in existence for 76 years. It is among the oldest and largest professional non-profit theaters in the nation (osfashland.org). Students will have the opportunity to see a modern production of the Shakespeare tragicomedy Measure for Measure during their stay in Ashland. 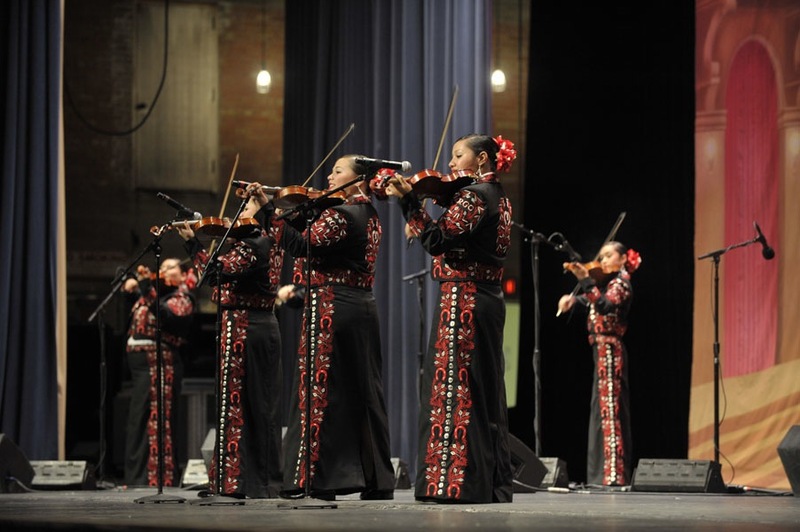 The play features Las Colibri, a 3- piece mariachi music ensemble made up of female mariachi musicians from California. The students will have an opportunity to perform with the groups’ lead singer Susie Garcia during one of their Green Show performances. article.aspx?id=160 for Green Show dates and times.